Terry O'Quinn will be there for a reason, and that reason is probably J.J. Abrams. 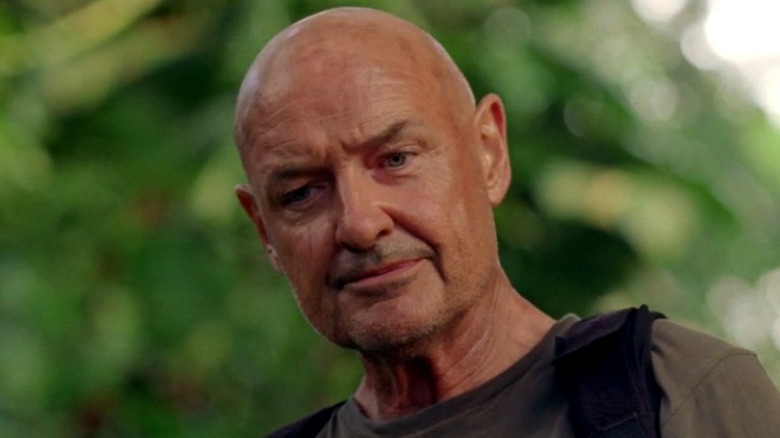 Deadline reports that the actor who played John Locke on Lost will re-team with Abrams for a key role in the producer's upcoming Stephen King series Castle Rock. O'Quinn will play Dale Lacy, a "pillar of the community" in the town of Castle Rock. Based on Stephen King's multiverse, the Hulu show is named after the fictional town in the author's native Maine that is often the setting for many of his novels, novellas, and short stories. Castle Rock will have interweaving storylines that center on an "epic saga of darkness and light," which is a theme that Abrams and O'Quinn famously explored on Lost. The actor joins a cast that already includes Melanie Lynskey, André Holland, Scott Glenn, Sissy Spacek, Jane Levy and Bill Skarsgard (who also plays Pennywise in the upcoming It movie). O'Quinn most recently played Tom Tavner on Amazon's Patriot and had a recurring role on The Blacklist: Redemption. He previously had a co-starring role on Secrets and Lies. While we wait for more details, check out some storylines from Lost that were never resolved.